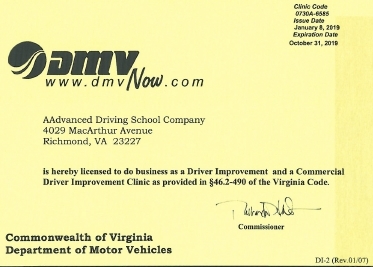 We are New Kent and Richmond, Va’s Most affordable, trusted, and safest driver improvement clinic/schools! AAdvanced Driving School of Richmond, VA is licensed and approved by the Virginia Department of Motor Vehicles DMV of the Commonwealth of Virginia to perform Driver Education and Driver Improvement services to the general public. We are also a state certified SWaM vendor. Driver Improvement Clinics or driver improvement courses can be mandatory court ordered or voluntary. 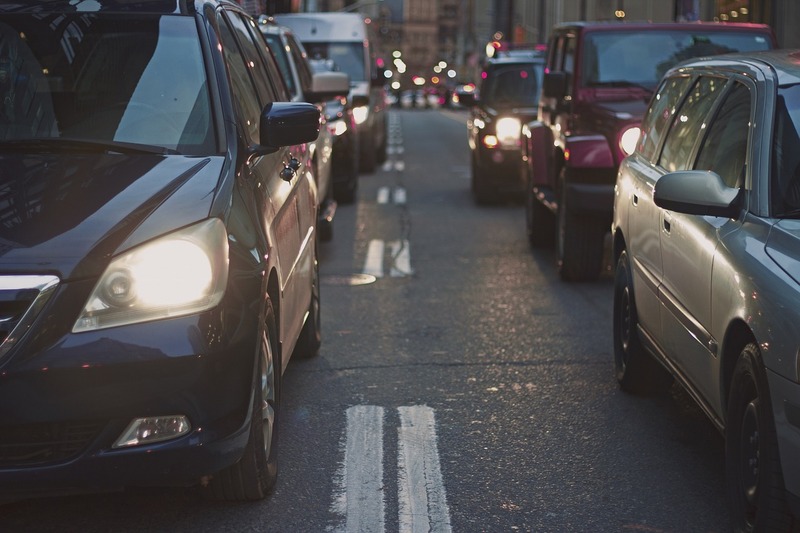 The courts or DMV may mandate that one take a driver improvement course because of traffic violations or point accumulation. Some people choose to take the classes to reduce DMV points by 5 (five) on their driving record and thereby reduce their insurance premiums. Recognizing the need for a Driver Improvement Clinic in New Kent and surrounding areas, AAdvanced Driving School is now offering this service. The cost of the clinic is $75 Saturdays. The class consists of eight (8) hours of classroom instruction. The final exam will consist of 50 questions. Students must answer correctly a minimum of 80% of the exam questions. Students can take the exam only once per day. Mondays, Fridays Saturdays and Sundays. We offer two weeknights from 5:30 -9:30 to free up your weekends! These classes are offered on Mondays and Tuesdays (must have three to hold class). Contact us with the form below for more information or to schedule a class.